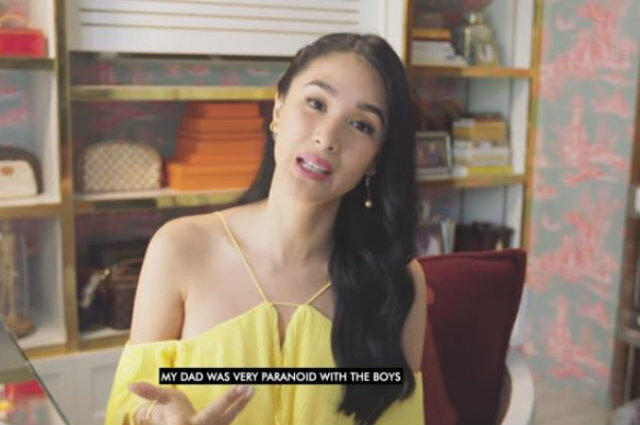 Actress and fashion icon Heart Evangelista shared her newest vlog content on YouTube where she got to react to netizens’ assumptions about her. In her new video, Heart chose several assumptions from her fans about her personal life including her, being a wife to senator Chiz Escudero, as well as her life being celebrity. Heart admitted that she always has a bodyguard ever since she was little as her dad has always been “paranoid” with boys, hanging out with her. “The only nice thing about now, having security is that nobody has a log book. so the people that I meet up with, walang nakalista. Before kasi, diyos ko, may log book! Anong oras, ganyan. Now it’s like, super chill. But we’re not the type to have a lot and we don’t like them in uniforms,” Heart added.